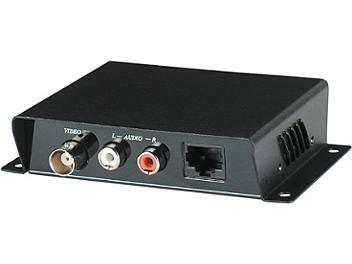 Video and stereo audio transmission over one CAT5 cable. Two ways audio and one video over one CAT5 cable. Works with C5E-19A CAT5 distribution amplifier. Perfect for classrooms, conference centers and other applications that require multiple displays.